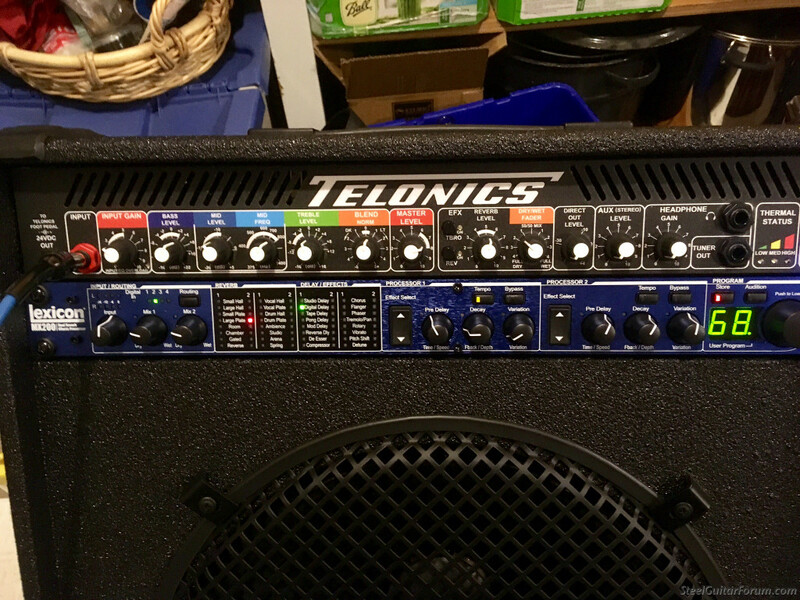 What are some Telonics amp settings that some of you Telonics amp users are using? Understand, though, that you will likely have to change them if you play venues of different size or configuration an/ or if the size of the crowd varies. There are NO "guide" settings that work everywhere. That's why there are controls on the amp. They also need to be different if you are using a different speaker. I appreciate the input guys. This gives me a starting place to work from. 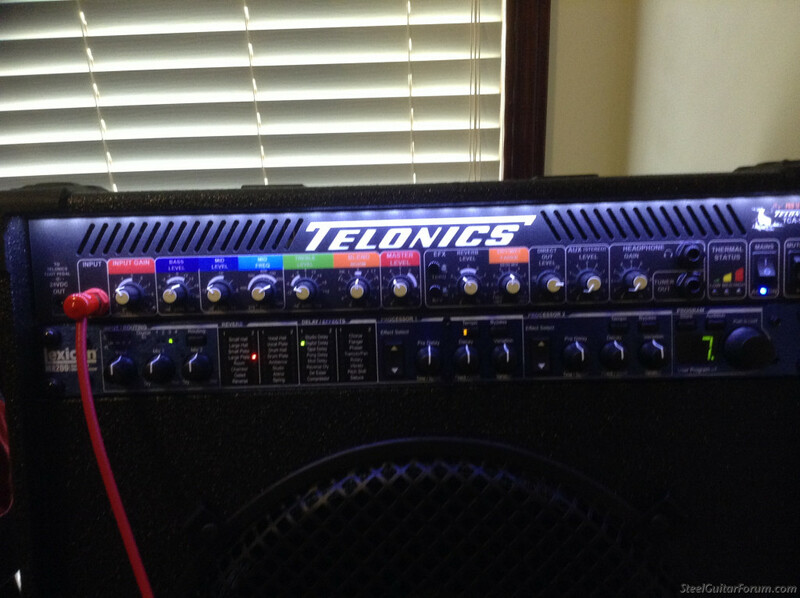 When I acquired my Telonics rig I experimented with the tone controls and marveled at their sophistication. I have left them substantially flat ever since, although I do dial in a little presence now and then. What I find curious is that the blend control seems to enhance the sound even when nothing is dialled in on the other knobs. Perhaps someone can explain this, or perhaps I'm mistaken. I've since removed the MX-200 out of the cabinet and am amazed how much bettter this amp sounds without the processor in the signal chain. Instead, I'm using 2 true-bypass stomp boxes (Wet Reverb & Wampler Faux Analog Delay) which lets the inherent tone of this amp really shine through. And mine. And I never have to touch it regardless of where I play. These amps have a really wide range of excellent tones. Like others, I run the same basic settings and will only tweak the BLEND control slightly for some venues. The controls have significant range. 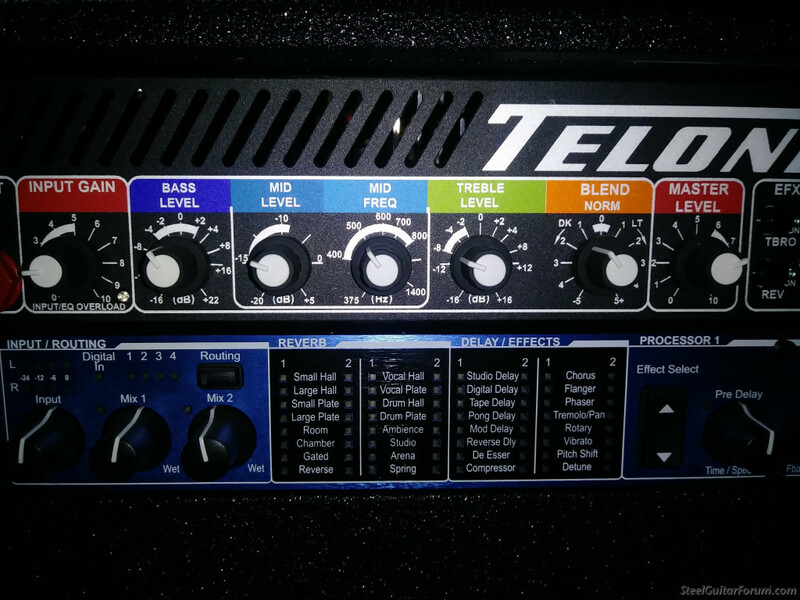 I find that the Telonics EQ needs very fine tuning to make a difference. The Telonics combos really are state of the art in every way, particularly the direct out with the speaker simulator. It's just a superb amp built by a great company. Here's my amp. I agree with Tony about the amp coming alive without the processor. There's a lot of stomp boxes that have better reverb and the slight loading of the stomp boxes between the volume pedal and amp seems to fatten the tone just right. 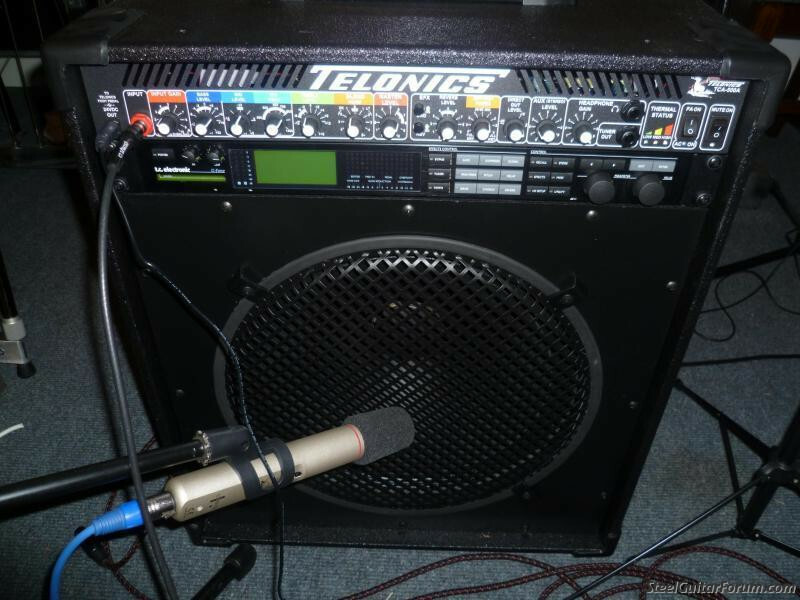 I used just the HOF reverb and either my Goodrich pot pedal or the Telonics volume pedal. I have found this to be the best settings for me. 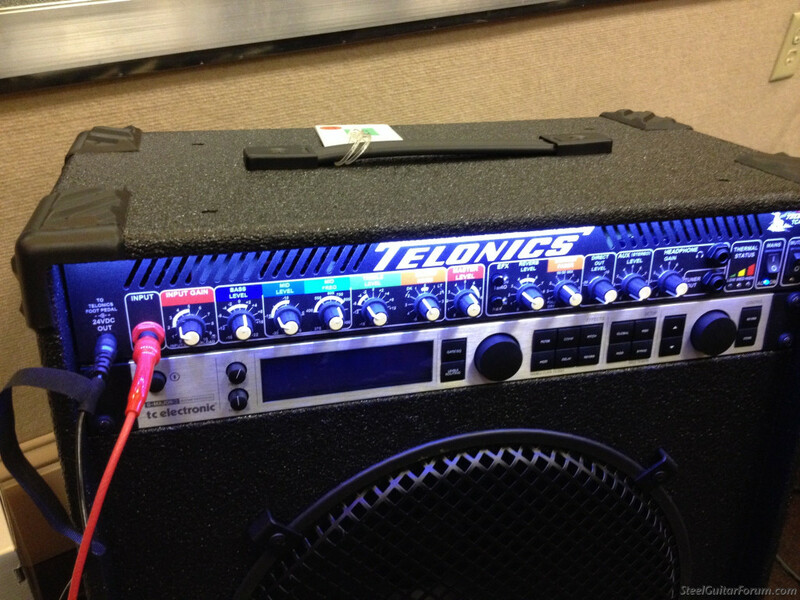 From My Franklin S10, fitted with the TL X10 Pickup, I go into the Telonics VP and then to the combo. This is the tone that David Gets through my rig.